The Barryvox S is the new top of the line Avalanche Beacon from Mammut. It comes with all of the reliability and performance of the old Mammut Pulse beacon that guides and rescuers have trusted for years. But with the addition of a few key enhancements. The Barryvox S is a 3 antenna Beacon that is operable in both Digital and Analog modes, giving you more control over how you search. It has a huge receiving bandwidth and allows the user to use larger search strips, up to 70m. Smart Search is a new function that provides simple, clear instructions to follow for a rescue. It definitely doesn't replace the need for proper training but helps remind you of how quickly you should be moving and what to do next should you forget. It also interacts with other Barryvox S searchers in order to improve group searchability. While a number of features that differentiate the Barryvox S from the simpler Barryvox are largely for pro-level use. There are a handful of benefits for casual users as well: a bigger screen, Smart Search & dynamic screen icons that step you through a search. Please note that the Barryvox S beacons that we receive are specific to the US/Canada/NZ, and the W-Link operates on a band specific to those locations that are not suitable for use in Japan or Europe. If you intend on using your Barryvox S in those locations, there are W-Link features that must be turned off. These features do not affect the traditional Search/Send features that operate on a 457 kHz band worldwide. When getting someone out of an avalanche burial situation, simplicity is key. The Barryvox is a digital 3 antenna beacon that is stripped back of all distractions. Intuitive navigation, powerful search functionality and a compact, durable housing allow the Barryvox to be an ultra-powerful beacon without complication. The Barryvox stands out due to its wide search range of 70m, matching that of the Barryvox S. This gives users an earlier indication of where people are buried and allows them to react faster. With significant improvements over previous versions, the new Barryvox is more powerful and reliable than ever. The Mammut Barryvox avalanche transceiver not only has one of the largest receiving ranges and one of the widest safely usable search strips on the market; where it really stands out is its intuitive operation. Because in order to make the best use of your device in an emergency, you need to be able to operate it practically with your eyes closed. 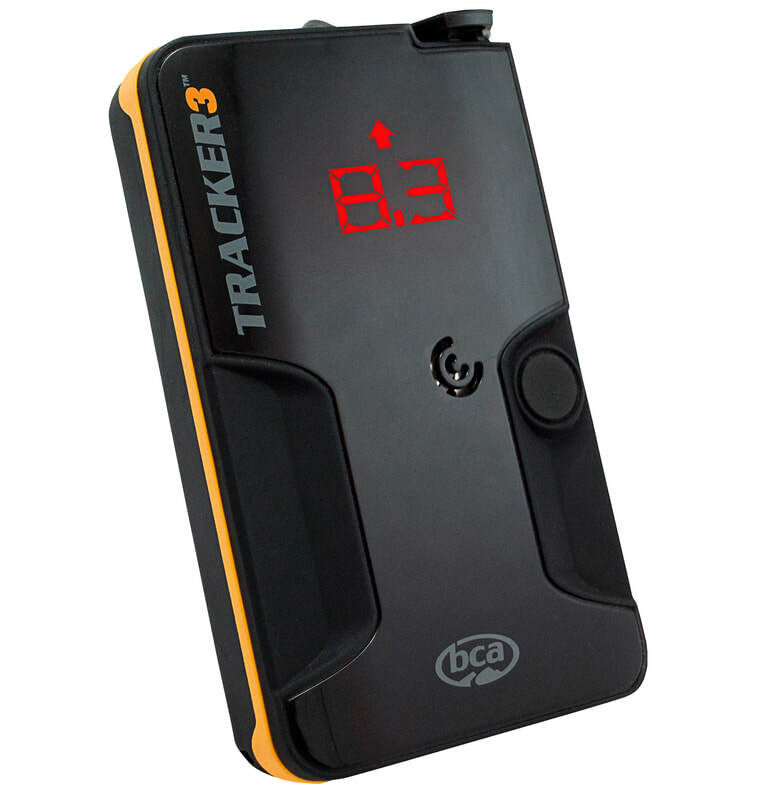 The Tracker 3 has Tracker 2’s renowned ease of use and instantaneous real-time display-and it’s 20 percent smaller and lighter. Designed to be “pocket friendly,” T3 is the thinnest multiple-antenna avalanche transceiver available. Signal suppression and Big Picture modes for no-nonsense multiple-victim searching. For times when a snow professional is less concerned with moving snow for routine chores or not specifically recruited for a rescue operation, the Voilé Telepack M Avalanche Shovel is an even smaller alternative to our Telepro shovel. Fitted with the same, bomber scoop as the Telepro, the Telepack M features a slightly-shorter, T-handle (rather than a D-grip) for compact stowage inside a pack. 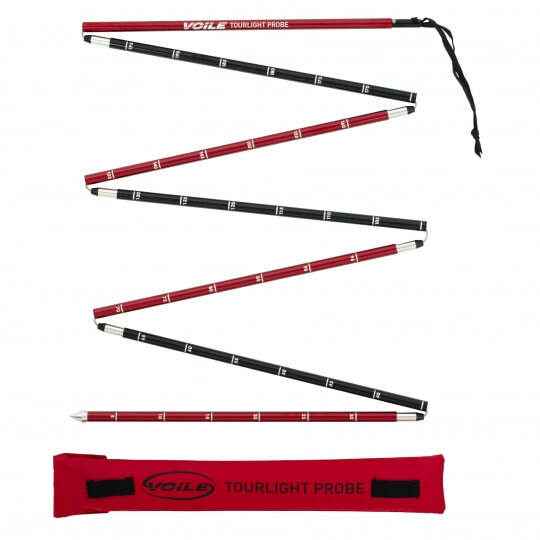 Otherwise, the shovel performs equally well as the Telepro, and also features the same pair of Deadman holes for rigging an emergency sled or snow fluke. Once again, the 6061-T6 aluminum used in the Telepack M scoop really shines in challenging snow and debris. T6 is the level of hardness reached in the aluminum heat-treating process, resulting in a metal that rivals steel for strength and rigidity, at a fraction of the weight. The Voilé Telepack M Avalanche Shovel: A great choice for pros on the move or any backcountry enthusiast who wants peace of mind.